Last month I wrote about passing off, which is the most common type of trademark infringement. As a reminder, this occurs when a counterfeiter makes a similar product and tries to “pass it off” as the original. But what if it happens the other way around? Reverse passing off occurs when someone takes another person’s product and markets it under a different brand name. Imagine pouring Coke into bottles labeled N-E-W Cola to make people buy what they think is a competitive product. That’s reverse passing off which, in general, is a mirror image of passing off. Now think about how this works for writers. If someone takes your story and puts his or her own name on it, that’s plagiarism, which is unethical but not illegal. But is that action also reverse passing off? If it is, you don’t have to worry about those parts of the copyright laws that require proof the person actually took your work. Unlike copyrights, independent creation isn’t a defense to a trademark claim. 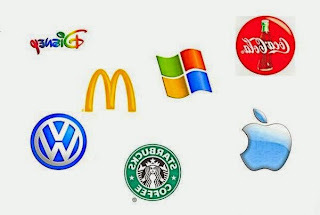 Also, trademarks that are in continuous use don’t expire the way copyrights do, so your heirs could claim trademark infringement even after the work has passed into the public domain. Trademark law could be a great tool for authors who can’t make a copyright claim. At least, that’s how it would work if reverse passing off applied to creative works. But here’s the problem. If copyright law says that something is in the public domain or that you have to prove certain elements to prohibit someone from using the work, should an author be able to frustrate those rules by using a different legal theory? The U.S. Supreme Court has answered that question with a resounding “NO.”* If the work is the type covered by the copyright laws, then those laws trump any others. If the provisions are inconsistent, the courts will follow the copyright laws. This is true even if the work is in the public domain. When creative works are involved, passing off and reverse passing off are not mirror images. So if you think someone has stolen your work and the copyright laws don’t give you a claim, don’t bother to argue reverse passing off. * Dastar Corp. v. 20th Century Fox Film Corp., 530 U.S. 23 (2003). Have you heard of the name Alexandre Dumas? He’s a French writer. I couldn’t name a lot of French writers, but this one affected me when I was sixteen years old. He wrote a famous novel that most people have heard of, but they probably don’t associate the name with the title. Any ideas? Don’t worry. Most people don’t know the author of The Three Musketeers. I, personally, did not like this book as much as the one I’m going to talk about. Have you ever read the 1,065 page book called The Count of Monte Cristo? I don’t’ mean the movie. It is horrible by the way. Take a 1000 plus page novel and make it into an hour and half movie and what do you get? So many parts left out to fill the time constraints. Sad! During my sophomore year in high school, I loved to write creatively, so I signed up for the only creative writing course offered, but little did I know that the class was designed for seniors. Because I was an A/B student and received straight A’s in English, the administration allowed me to take the course. The first day in class, the teacher, Mr. Weller, handed out these thick books to everyone. Most of the students groaned because they thought it was a writing class not a reading class. They go hand-in-hand guys. Anyway, the book was titled The Count of Monte Cristo by Alexandre Dumas. We had all semester to read the book, but we had to read the first couple of chapters by the end of the week and write a one page essay about ourselves. No problem. I went home and finished all my other homework before finding a comfortable place to curl up with the new given treasure. I was hooked instantly. Time flew by, but I didn’t notice. I was in Marseilles aboard a ship, coming home after a long stint on the ocean. Taken prisoner to Chateau d’if, thrown in the ocean in a body bag, captured by pirates and threaten to fight for my life. I ventured to an abandoned island where mountains of gold and treasure awaited for me to uncover and use for my own revenge. I slowly watched my enemies die and collapsed in on themselves. I learned the hard lesson of forgiveness and love. We only had to read a couple of chapters by the end of the week, but I had the book completed in one week. I loved it so much that I read it through two more times before the semester ended. 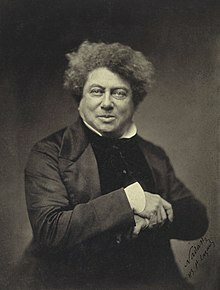 Alexandre Dumas opened my eyes up to the world of classic literature. Before then, I had to read boring books like Animal Farm by George Orwell, which stifled my curiosity toward older books. But Dumas showed me that classic literature could be fun. You just have to find the right one to spark your interest. 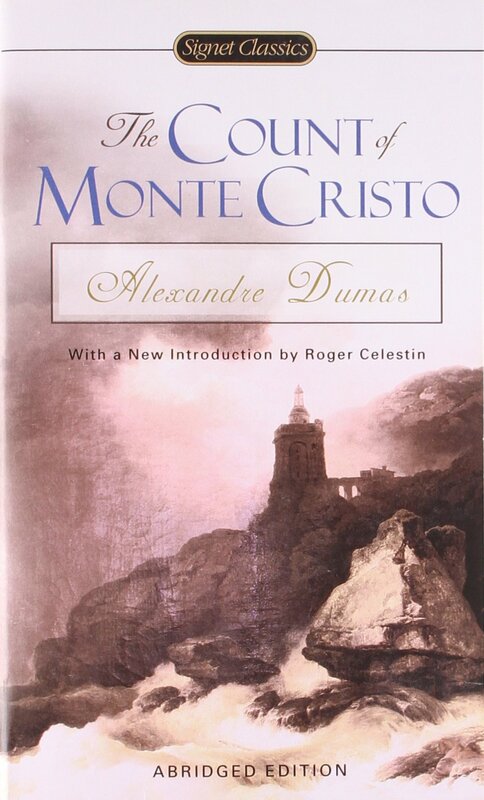 I love how The Count of Monte Cristo laid the ground work for what I consider a great book even today. A story must have adventure, mystery, romance, sometimes revenge, forgiveness, justice, and suspense all wrap up in a nicely bound package. Every year, I return to the hallow pages of my version of The Count of Monte Cristo and lose myself along the wonderful crafted story. A couple of years ago, my father bought me the Barnes and Nobles classic leather bound edition with the Sherlock Holmes edition. Both of them sit in places of honor on my book shelf. What book do you return to every year to read for fun? Do you have a special edition of that book? What have you learned from that author? The week my first grandchild was born, I stayed a week with my daughter and her family. Looking back, even her husband, a Dr. Doolittle clone, admits they owned too many pets. The birth of their beautiful baby girl constituted enough drama. The addition of a large, needy dog, whom I privately nicknamed Droolius Rex, and eight cats (a total of 148 kitty claws) in the house detracted from the main event, rather than adding to it. In a similar way, pet words and phrases can diminish, rather than enhance a story. Like my daughter’s cats, 148 “suddenlys” leave 148 claw marks that puncture a suspense novel and drain it of its potency. Suddenly, readers fall asleep. The overuse of another pet word, “literally,” and its cousin, “actually,” jumps on readers the way Droolius jumped on me at his dinnertime. Instead of being convinced by such adverbs, readers feel an urge to back away. Or chain them outdoors. Excess “verys” and “reallys,” even in dialogue, can produce a similar effect. All pets exhibit a sneaky side, and words are no exception. Some, however, possess exceptional covert abilities. Words such as “it,” and “there” can take over a story before an author realizes they have slipped en masse through the back door. Before we know it, litters of “the” and “that” increase exponentially. Pronouns, too, can overpopulate a manuscript if preventive measures are not taken. Perhaps you, like me, cherish particular words for your own reasons. I like the word “angst” because it sounds like its meaning. When I crunch the word between gritted teeth, I feel my character’s fear and frustration—expressed in streamlined five-letter form. However, my critique partner pounced on its overuse in my romance as telling rather than showing. Some people just don’t understand pet lovers . . . and in my case, that’s a good thing. How about you? Have you made a watch-list of your pet words to keep them under control? Book review of The Slight Edge: A book for writers? Definitely! This month I would like to talk about The Slight Edge a book written by Jeff Olson with John David Mann. It is not written with writers in mind, but the heart of it easily applies to the writing process which is pretty exciting. To save us both time, and the blog site space, I’m going to briefly explain what Olson means by “the slight edge” and then share my top three “take-aways” that have inspired me to continue pursuing the writing dreams I believe God has placed in my heart. If you are a writer, you can already see where this is going, can’t you? How many times have you been told/read/heard that if you really are a writer you have to “write every day”? I have lost count. And it’s not that I disagree but if, like me, you have to work full-time, have three kids, and your husband has health issues that limit how much he can help out around the house – where do you find the time? This is why I found Olson’s book exciting and inspiring because this is what he helps you figure out. Let me be clear, this is not a book about time management. What Olson does do is give a compelling argument for why you need to pursue your goals no matter what obstacles are in the way, and he does it in a very down-to-earth, encouraging way. The things we know we need to do are easy to do, and easy not to do. Slow and steady wins the race (but mostly steady). To close the gap between “I really should do ______” to doing it, is to be present in the moment. Now before you start thinking the last sentence sounds new-agey, let me ask you – do you believe God gave us free will? If you do, then you know that you don’t have to write even if you really want to or even believe God wants you to; it’s your choice. I don’t know about you, but I have always viewed time as an enemy never as a gift from God. But it is. And if we’re doing the little things every day – even if it’s just 100 words a day – I believe it’s a writer’s way of showing appreciation for His gift, and then He blesses us with an inevitable “The End.” If we keep starting, we will finish eventually. It will happen. This, of course, is my second take-away: steady wins the race. Now, I take slight issue with the first sentence. My sci fi side is showing right now because “predestined” is only a matter of perspective after all. I include it only as frame work for the second sentence – the moment of decision. How often do I run on auto-pilot and not really think about how I’m spending my time? More often than I want to admit to. When I’m confronted with 10 minutes that no one else has claimed, what do I do? I think I turn on the TV to do something “useful,” like check the weather. Instead of doing that I could write a few words. It may not be many words, but 10 minutes here and there adds up over time. I’ve only just scratched the surface with this book. There is so much more in The Slight Edge that is very applicable to a writer’s life. If you are interested in reading it yourself, there are several Indiana libraries that have this book. And if they don’t, you can always request it through interlibrary loan (that’s what I did). May God bless your writing journey today and always. Please don’t give up; He hasn’t given up on you.